The dog jacket Kimmi is a soft and wonderful jacket from Trespass. 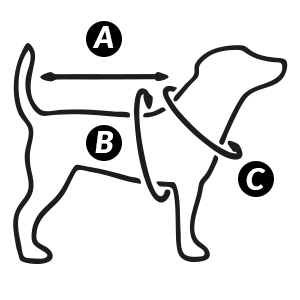 You dress your dog easily by putting the jacket around the neck and stomach and closing it via Velcro. If you want to match between red and blue you can easily evert the jacket to change the colour. The jacket is made of Polyamide and is a light weight jacket. You can wash it at 40° when necessary. The jacket is delivered with a little grey fabric bag for storage.